Like others who have had direct experience with this little known man, I’ve tried to no avail to avoid being labeled a “Putin apologist”. If one is even neutral about him, they are considered “soft on Putin” by pundits, news hounds and average citizens who get their news from CNN, Fox and MSNBC. I was stunned but he insisted. They were coming from Moscow and were furious about how U.S. funding was being wasted there. Jack wanted them to hear the”good news” about CCI’s programs that were showing fine results. In the next 24 hours Jack and I also set up “home” meetings in a dozen Russian entrepreneurs’ small apartments for the arriving dignitaries (St.Petersburg State Department people were aghast, since it had never been done before––but Jack overruled). Into Putin’s first year as Russia’s president, US officials seemed to me to be suspect that he would be antithetical to America’s interests––his every move was called into question in American media. I couldn’t understand why and was chronicling these happenings in my computer and newsletters. Alcohol challenges were less obvious, smoking was banned from buildings, and life expectancy began increasing. Highways were being laid across the country, new rails and modern trains appeared even in far out places, and the banking industry was becoming dependable. Russia was beginning to look like a decent country –– certainly not where Russians hoped it to be long term, but improving incrementally for the first time in their memories. Old concrete Khrushchev block houses are giving way to new multi-story private residential complexes which are lovely. High-rise business centers, fine hotels and great restaurants are now common place––and ordinary Russians frequent these places. Two and three story private homes rim these Russian cities far from Moscow. We visited new museums, municipal buildings and huge super markets. Streets are in good repair, highways are new and well marked now, service stations look like those dotting American highways. In January I went to Novosibirsk out in Siberia where similar new architecture was noted. Streets were kept navigable with constant snowplowing, modern lighting kept the city bright all night, lots of new traffic lights (with seconds counting down to light change) have appeared. Some of you were around Putin in the earlier years. Please share your opinions, pro and con …. confidentiality will be assured. It’s important to develop a composite picture of this demonized leader and get the record straight. I’m quite sure that 99% of those who excoriate him in mainstream media have had no personal contact with him at all. They write articles on hearsay, rumors and fabrication, or they read scripts others have written on their tele-prompters. This is how our nation gets its “news”, such as it is. Putin is the “Villain De Jour”…….It used to be Castro, Khrushchev, Ayathollah Khomeini, Kym Jong Il, Saddam Hussein, Mr Assad….. etc etc……..
America always needs a villain, a ‘Bad Guy’ to DIVERT the American people’s attention away from the criminals that have Hi-Jacked the USA, from within. Take a ‘long hard look’ at who REALLY has massive interference in the day to day running of the USA, America. For your insight on this subject. NOTHING would surprise me, when it comes to the Criminals who run, and control, the USA. I think the American people are waking up to what is being done behind their backs, but, what can they do. The Criminals have all bases covered. The Banking system, the legal system, the Pentagon, CIA, FBI, NSA, Media, etc etc, are run and controlled by the “DEEP STATE”……..and, if “The People” arise……..The Dept of Homeland Security(armed to the teeth) are there to “restore order”….. I have visited Russia twice, 1990 and 1994 and hosted a few Russians here in Los Angeles. All were highly intelligent cultural leaders. In about 1996 I told them that America would never be their friend and would not be satisfied until American troops occupied the Moscow Kremlin. My Russian friends were absolutely horrified by my remarks. I had no specific reason. it was just my intuitive judgement, which appears to be true. 2.American hatred of Russia is partly a result of following British foreign policy (they hate Russia). 3. Putin stopped the Jewish oligarchs from looting. A big no no. One must never interfere with Jews. 4. The brutal history of Soviet Communism makes Americans very uneasy and rightly so. 5. Russia has a first class nuclear deterrent that could destroy America easily. 6. Russia has had a profound Christian transformation. Many Americans are very anti Christian. 6. They speak a very differnt language and have a different alphabet. 7. The military / industrial / security complex needs them as an enemy to gain funding. 8. People are not too smart and stick to their old patterns. Exactly. The renaissance of Christianity in Russia in the last 30 years is a problem for Pax Americana and fledgling Pax Judaica. Multipolar world advocated by Russia threatens the petrodollar and its financial slavery. Communism ( Bolchevik revolution) in fact was a Jewish organized revolution to diminish Russia and slaughter the Christians ( 60 million were killed) was financed by Jewish Wall street banks… Anthony Sutton and E. Dillon ( the plot against Christianity) and yes Washington would love to loot the gold reserves of Russia…. NUMBER THREE AND FOUR ARE ACTUALLY NO.TWO. THIS HATRED GOES BACK CENTURIES WITH THE SZARS POGROMS AS THE REASON. IT IS INSTILLED IN ALL JEWS FROM BIRTH ON, THAT THE RUSSIAN IS A MURDERER. AND WORSE. AND DON’T FORGET 99% OF THE REVOLUTIONARY BOLSHEVICS WERE JEWS AND RAN RUSSIA EVEN AFTER STALIN PURGES. AND THE AMAZING THING IS IN THE SO CALLED ANTI SEMETIC PURGES OF THE 70S WAS ACTUALLY PERPETRATED BY THE JEWISH SOON TO BE OLIGARCHS. Germany, actually receiving an award from Staci for his services. After the USSR was dissolved, he worked for bloody dictator Yeltsin, and eventually he was named head of the successor to the KGB, the FSB. While working in St Peterburg in the 90’s he continued his service to the FSB. In short what is omitted from this tribute is that Putin has his roots in the KGB, serving 17 years including close co-operation with the notorious East German Staci and that he is, in effect, not only President but the head of the Russian Deep State. PCR claims this is an honest assessment of Putin, but I would call it whitewashing, ignoring his rise to power as a spook. By honest PCR means that this assessment serves his purpose, which is to glorify Putin while claiming, for instance, that under Obama, the US Police State was worse than the Gestapo……and that the investigation to find out the truth about the Trump campaign is an attempted coup with the purpose of derailing Trump’s efforts to make peace with Russia and avoid the nuclear annihilation PCR feels is more than 50% likely to happen. I urge readers to educate themselves on Putin’s background and without distracting from the success he has had, consider his roots in the Deep State of Russia and how it forms a layer of operations which are masked by his public role as President. That’s a really narrow-minded and mean-spirited view of life. I don’t think I would like you, based upon your last comment, fifteen tears of proving me wrong notwithstanding. Good reply to Ruff’s unfounded implications that Putin’s KGB service is a black mark on his career. Does Ruff equally disparage US military and security agents, and claim that any positive word spoken of any US President who is “commander in chief” of the Deep State agents is “whitewashing”? In other words, ignore the obvious, and focus on the obscure. I don’t think so. PCR has it right. FBI:, Department of Justice, etc are all Republicans Trump handpicked. The Treasury is run by Trump’s pal, Secretary Mnuchin . Trump, a standard perception of the paranoid but in this case, likely true, witness the vote by Republicans in Congress to oppose Trump’s repeal of the Russian sanctions: 254-4. Many thanks for such an interesting report, Culturally speaking among other attributes Russian President Vladimir Putin has, makes him stand out from the crowd, congrats! Outstanding article, I have a Russian spouse, we were talking about Putin and she told me she thought he was a very good man and President. I had a sort of negative view of Mr. Putin at the time, she asked me if I had actually read any of his speeches, I had to admit I had not. So I started reading his speeches from the day he became president forward, and studying Russian societal conditions when he became president and how they changed going forward. A few weeks later my view was completely changed. Now, about six years later, I am convinced that he is the greatest statesman alive in the world today, followed by President Xi, for similar reasons. I just wish I could say such nice things about our last five presidents. You are 100% correct Neo Nemo. I too have listened to Putin for years and it is obvious to anyone with even one brain cell that he speaks the truth and is undoubtedly the only Statesman in a position of power today. He is the only one calling for international law to be observed and for countries sovereignty to be respected. That is what riles the Jews who run the USA as they want the NWO world fascist government run by the Vatican, Rothschild maggots, fat little Nicky Rockefeller, Warburg gangsters and the rest of the Freemason Knights of Malta Jesuits. Thanks for your insights! I admire Putin for what the man has accomplished in his short tenure. I have listened to many of his speeches including the ones where he simply answers questions for a continuous 4 hours and really answers. The man is very informed and, I believe, extremely honest. It is clear to me that there is only one reason why he is so demonized in the U.S. : the need for a perceived enemy so that the totally out of control funds to the dod keep flowing. This favored method of demonization is clear from countless examples of U.S. foreign policy, including the issue of the moment, the accusation that Russia “influenced our elections.” The reality of course is that in full view of the world the U.S. got our puppet Yeltsin back into power with massive election rigging, taking him from single digit approval back into the presidency. Only by being totally ignorant of our history are Americans able to convince themselves of the latest nonsense out of the State Department, CIA and Pentagon. I had subscribed to doug casey’s newsletter around 2008, one writer, marin something or other, had written a tell all book about Putin, the chetchan (?) war was semi correct and pure subjective the rest, in my opinion, was speculation and hearsay crap so I cancelled his newsletter. I like Putin and have followed his career since and this report confirms my opinion of this man. In wars there will always be outrages, on all sides. The first question should be whether the situation is a choice or a reaction. If the Chechen war was fomented by the NATO bloc as means of keeping Russia down which side was most culpable? Since the 90s we have learned a lot more about international sponsorship of Islamic militant groups. 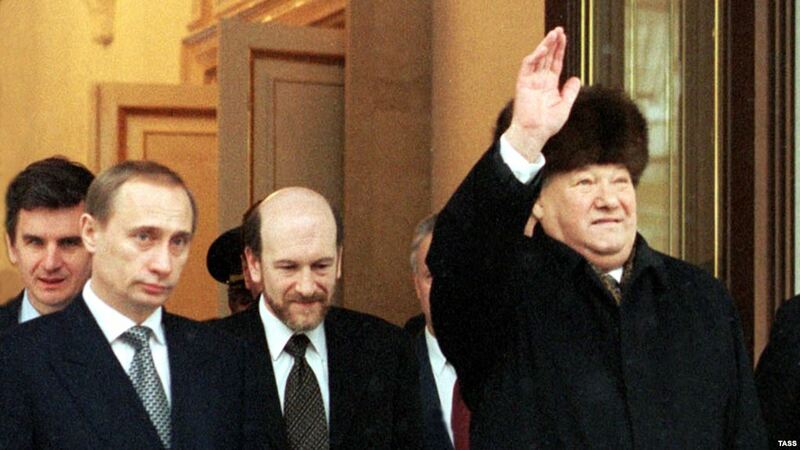 Perhaps it was still the late 1990ties when Putin was in NewYork City and a reception was created for him at Columbia University where my mother was a Professor in the Slavic Department. As a senior member of the faculty and one of the few for whom Russian was a first language she was invited to this reception. She hesitated to attend arguing she had no reason or desire to meet a KGB agent, the standard take on Putin in those days. She doubted his genuineness very seriously and proclaimed that any politician can and will walk into a church to make a sign of the cross for publicity and voter support. Putin had by that time already demonstrated his support for the Russian Orthodox Church. Most Russian emigres were quite cynical about this support. A standing play on words at the time was that Russia had already suffered under Rasputin, and it surely didn’t need a Dvaputin. (“Ras” = once; “Dva” = twice). Nonetheless duty called and my mother went to the function. At the reception she was approached by a Russian speaking stranger and asked if she would like to meet Putin. She was taken aback and responded that she had no reason to speak with Putin and implied that she had nothing to say to him. Then the stranger offered that it was not he himself who was proposing the introduction but that it was Mr. Putin who had heard about my mother and her background and expressed an interest in meeting her. That was difficult to turn down, and the meeting took place. This meeting served to diametrically reverse previous opinions she had held. She found that Putin spoke a “beautiful” Russian, was not a “muzhik” at all, seemed extremely intelligent and well informed and above all – he seemed genuine. He apparently knew some of her family history, knew that some relatives had served under the Tsars (Alexander III and Nicholas II), and then played roles in the Provisional Government. He knew of writers and musicians in the family, etc. I.e. he came equipped with her resume. This startled and charmed her and left the impression with her that she had spoken to a truly gifted and enlightened man. None of this can be verified with my mother since she passed more than two years ago. But it remains in the realm of family legends. I, for one, have no reason to doubt its truth. I found him accidentally one night after 2am when RT had one of his 4 hour annual press conferences on. I was mesmerized. Been reading everything ever since. Your article does justice to President Putin and it is far more complete than anything I’ve read. Thank you. The Chechen war began almost immediately after Madeline Albright (US Secretary of State) visited Chechen leaders. I have no doubt she dropped off the huge bribe payment to get it going. If you watch closely, this pattern is repeated again and again, only to be followed by war. By the way, Chechnya is a very small place. But it gathered international headlines to embarrass Russia. As you probably know, the MSM is CIA. I’ve just spun through this analysis/report and its numerous excellent comments. Good job–thanks for this post! I was in Russia from 1995 to 2003. At first I was critical for all the wrong reasons – like a fish out of water I was in unfamiliar territory and felt insecure and so found fault. Once I got over myself and started to get some insight into the Russian character I realized I had a lot to learn – and learn I did, it was a great ride. 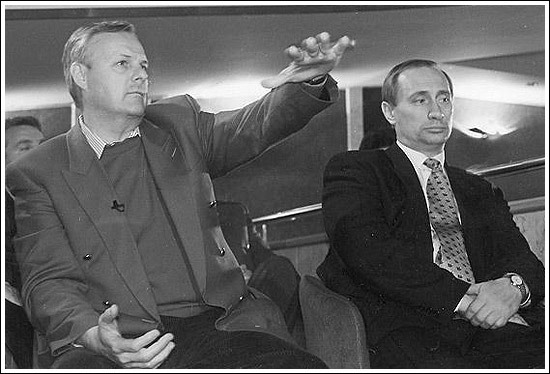 I worked as a ESL teacher at a university and in several joint venture businesses teaching Russian men and women, and although I never met Putin I was there when Yeltsin resigned and felt the difference – a lifting of the spirit. Being familiar with the Russian character and listening to a number of Putin’s speeches and his reaction to his detractors I concur with the writer’s assessment of Putin’s character and his reasoning as to why Americans demonize him. What they don’t realize is that this kind of criticism (like mine when I first arrived there) reveals more about the weaknesses of the critic than the person being criticized. Thank you for your patriotism to Russia that you carried through decades living in the U.S. I’m not a “Communist” in terms, that everyone who likes the Soviet Union must be a communist, but I grew up in and love my Russian – Soviet world that we lost 27 years ago. (I’m in my late 40s.) And I think Russia is so lucky to have Putin who turned it on the track to be a great country again. I hope Ukraine will have the same leader too, some day. I was born in the Soviet Republic of Ukraine, which was completely Russian in the language and mentality. I’m thinking now about changing my Ukrainian citizenship to Russian. Why? Because the frenzied anti-Russian propaganda in my country makes out of our youth, who grew up reading the fake – from the Soros sponsored school textbooks – history of Ukraine, anti-Russian zombies. They have no idea what’s is going on in Donbass, they don’t leave me any promise that my country will in any close times get back to be the same – or friendly to – country with Russia. Eventually, one day, I believe it will happen anyway. I lived in the US for 30 years having immigrated with my parents in ’81. In 2011, for many reasons, now a grown man I moved back to Russia and have lived here since. By and far it was the best decision I ever made and yes, this article has its rightful place to tell the truth. The only thing I would critique is how careful it is and asks its questions as if to probe. Take my word for it, Russia is now a better place than the USA. Although it still clearly has a ways to go before its infrastructure can compare, at the rate it’s going that won’t take long. My children will live in a Russia that rivals any wealthy country. Putin is awesome! I know that comment reads child-like, but it’s true. I love it here. Still, the obvious problem exists — The US (rather those who own and operate it) has surely become a more pronounced version of Nazism than I ever thought could be possible. Right now, literally EVERYTHING I read in the western MSM is so 180 degrees turned around from the truth that it is articles like this one that give me hope. But, as with all things factual nowadays, I am certain this article will never be shown on any mass media platform that could actually get the requisite amount of people to read it so as to make any difference or impact at all. I’m afraid that all roads lead to war, and as much as I refuse to believe that’s possible, unfortunately that is where the math leads. As for NGOs and meddling in other people’s/countries’ business, especially Russia, the US with all its NGOs has earned a special place in hell. Sorry of that offends anyone, but for all Americans that read this — you may be unaware that you live in a modern Fascist country, but in much the same way that most Germans in the late 1930s would argue that Hitler’s cause is correct, and that German “exceptionalism” is justified. It’s hard to see oneself from the outside looking in and notice the obvious faults. That is what decades of brainwashing does to people. Say to any American on any street, “Your country is responsible for all of the evils on the planet” and you will get everything from a laugh to an argument and through to a fist to the face, but very few people will ever acknowledge that the current US of A is by far worse and more evil than Nazi Germany ever was. It’s just that people can’t see it since they live as a part of it. All I hope for is that by some miracle all of the anti-Russian politicians end up in prison where they belong and a golden age of friendship and peace somehow manages to navigate through the lies… but that’s childish I suppose. One can only hope. If you want to know about Putin, get a globe and put red pins on those countries/areas where exists significant and UNINVITED/ILLEGAL Russian military presence(s). Do the same with the U.S. using blue pins.You have your answer right there. My dad served in the Army Air Corp/USAF during WWII, Korea, & Vietnam and was heavily involved in the cold war theatrics being played out with Russia. He would be dumbfounded by the state and hypocrisy of U.S. foreign policy and the constant MIC warfare. Putin is a sound leader who is interested in stability, peace and prosperity for his country. Can’t say the same for the current and past U.S. leadership – red, blue or whatever color you choose to vote for. Albright was up to her neck in starting the Chechen war. Of course Madeline Albright is a Jew surprise surprise. Thank you for enabling me to read and learn more about Putin. I was living in Spain at the time he came to power and his name gave the Spanish a few giggles at the time. I am now back in Ireland and have always defended him to any Irish brainwashed from the Irish media into thinking badly of him. Not true I tell them, Watch what you read in the Media. I think he’s great and long may he be around as an example to the rest of the so called ‘politicians;. ​I just happened to stumble on this piece and there is one thing that no comment has mentioned. Given the incredible deeds of the Russian diplomacy, V. Putin – or the deep state that probably brought him to power – has to be pretty good at picking the right people for whatever job that needs to be done. To me that sounds like true meritocracy, meaning that Russia will thrive even if the current leadership dies of a heart attack. That is, of course, if further wars and some colour revolution can be avoided, as they must if there is going to be a planet worth living on. This article and it seems most coments expressed here, portray V. Putin in a very positive light very much at variance with the book I am currently reading “The Man Without a Face The Unlikely Rise of Vladimir Putin” by Russian/American journalist Masha Gessen. Have any of the commenters here read this book? Masha Gessen is a Jewish name and every Jew I have known hates Putin. I suppose it is because he brought the looting Jewish oligarchs under control, and he is a devout Christian, that helped Christianity to regain its position in Russia. Jews find this abhorrent. At least Putin Puts his country, Russia, before everything else, unlike America, which always puts Israel before everything, including the USA, first. I work in Retail clothing and so many of my clients are from Russia. I always ask with great enthusiasm, “don’t you just love Putin?” And they look at me like I had 2 heads. Now, I know why. Russians here in the USA are not typical Russians. A poor sample. I know that many Russians here in the USA are Jewish. God is using Mr Putin – since the Medes- as he types are not a people that can be bribed – see Scripture. You should do more and PRAY for Mr Putin as my wife and I do. You won’t have a single friend left within the week if you do.